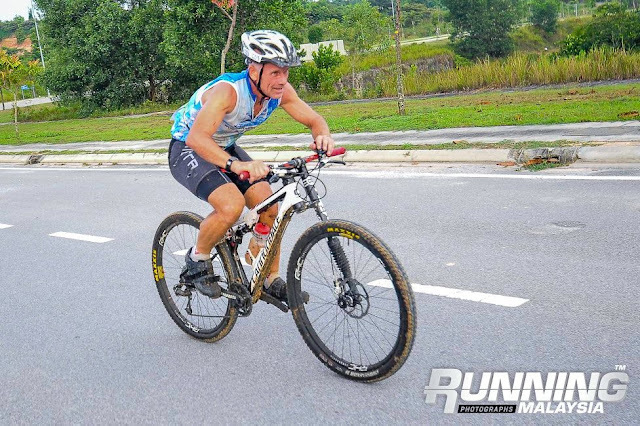 This race used some of the sections of Mountain Bike Trail that I had first used when putting together the XTERRA Malaysia Championship & Sprint course back in 2013 when the race was held on the other side of the Dengkil By-Pass in Putrajaya. 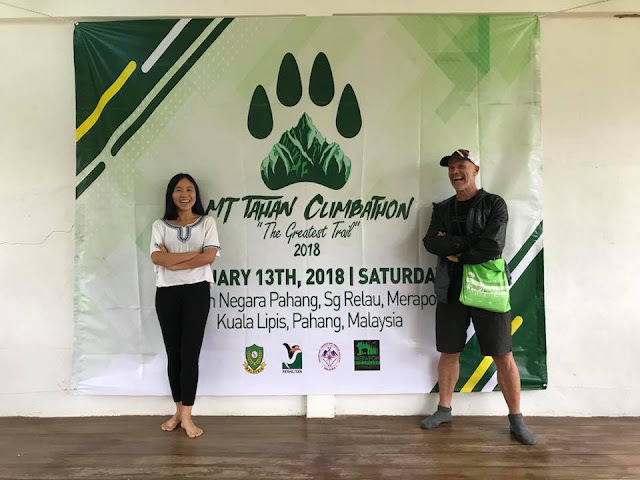 As a result, I was really keen to participate in it and the only thing to dampen this was the fact that both runs were to be done sadly on the road. 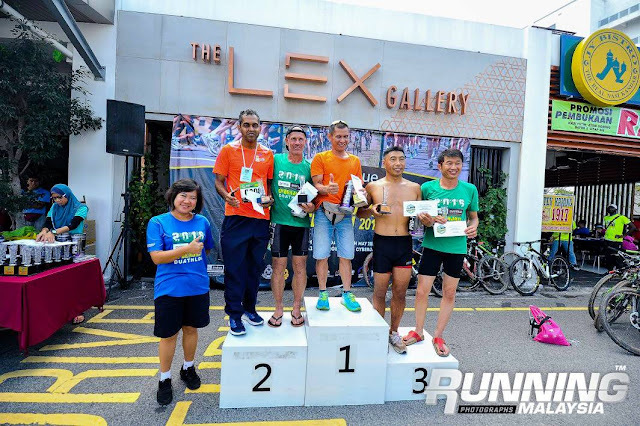 Nonetheless with the like’s of Razani and Saiful participating I knew it would be not only a great workout but a good opportunity to also test how my speed work was impacting my run times over the shorter & middle distances given that sandwiching the 30km MTB bike course were a 2.5km and a 10km run route. As I’d predicted the first 2.5km was more of a Sprint than a run with the leaders getting into T1 to pick up their bikes in 9 minutes flat. 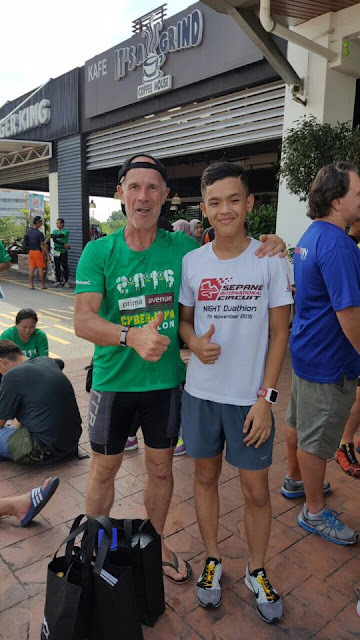 Having met and a made a new friend in the form of Stephen Manian, a teacher at Nexus International, who had informed me was a decent 40 minute man for a 10km. He very kindly towed me round to enter T1 in a time of 10 minutes and 33 seconds. Given the serious incline that the first section of this run had to it I was more than happy with this time and the fact I still had Razani and Saiful in view all be it a distant one. I’m sure Stephen wasn’t aware of this at the time, but it was great to try and run with him and I hope that I can have the opportunity to do so again some time soon as he really helped drag me along. From T1 the bike course then went out on to the roads but after less than 1km and a short climb we were off road and for pretty much the rest of the ride never back on it, other than for motorcycle lanes and broken Kampung roads, which meant traffic (e.g. cars were never an issue) and I’d like to give credit and kudos to the organisers for this fact. Sadly, after losing contact with the Razani & Saiful and the rest of the lead group which were seriously fast through the initial twists & turns of this section of trail we popped out on to a motorcycle lane and at this point things started to go horribly wrong. The first marshal, waved us (the group I was riding with) straight on. Then after about 500 metres, the next marshal stopped us in our tracks and sent us back in the direction we had just come from. When we got back to the previous marshal who had so enthusiastically waved us on. He insisted that we turn around again as we had been going in the right direction. As a consequence, we turned again only to find, this time after only a few hundred metres up the motorcycle lane, the 2 nd marshal who was now on his motorbike and waving frantically that we were going the wrong way and that he would show us the right way. He sounded way more authoritative and convincing and like Lambs to the Slaughter we followed him as he took us through a tunnel under the Dengkil By-Pass and lead us over towards Putrajaya Challenge Park which felt like we now heading towards trail that I was going to be familiar with and after re-crossing the By-Pass through another tunnel he stopped and directed us off of the motorcycle trail and on to the Kampung Roads and trails that I knew led us down to a river. In hindsight this was a big mistake. As, whilst there were no course markings on this section and we were wrong to follow this marshal blindly, we had it transpired missed a turn off to a 2-3km loop around a lake before returning back on to the motorcycle lane. As a consequence, although I was not aware of anything being untoward until I reached T2 and saw that Razani had not returned to T2 himself yet. The rest of the ride was reasonably well marked and in the end I ended up riding with two other riders in a small group. That was until, on a very bumpy bit of trail with only about 3 km remaining of the course, my shifter mechanism on the left hand side of my handlebars decided to part company with my handlebars and I had to hold on to it to prevent it from falling into the front wheel. 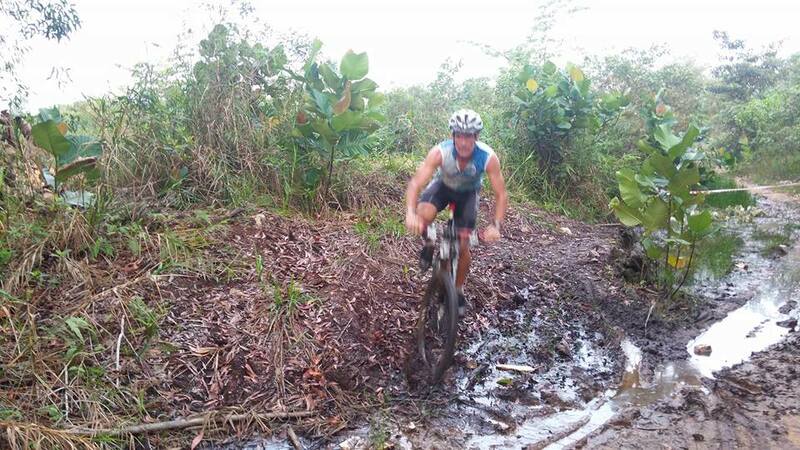 As a result, these 2 other riders rode away from me through a very nice bit of technical trail. Whilst out running the 10km loop I was wondering why other than for me and 1 relay runner ahead of me (I’d passed the other going up the first hill) no one else was back in T2 and running. Obviously, I wasn’t complaining about this fact. However, knowing that Razani and the others in that lead peloton were ahead of me as I left T1 and knowing that I had not passed them I wavered between some naïve kidology that said “they must have got lost” to some serious guilt that said “you must have gone wrong on that motorcycle lane incident”. 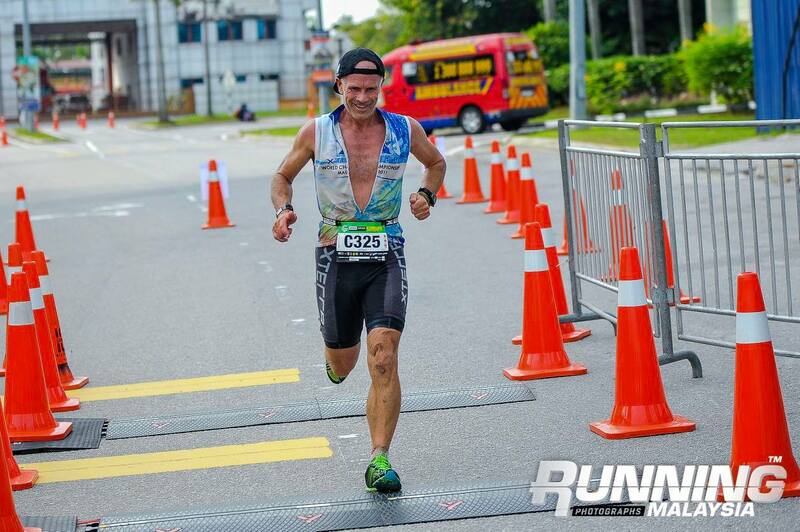 In case the former set of assumptions were correct though and Razani and the lead group had gone off course I focused on running a strong 10km so they would not catch me and I’m pleased to say I did just that posting a time of just under 45 minutes. Despite having no one to race with other than chasing after a very distant relay runner who I was never going to catch given that they were on fresh legs. I eventually spotted Razani, Saiful and a few of the other lead group of cyclists as they were heading out to the U Turn which I had rounded a few minutes earlier. Saiful who gave me a big shout of encouragement when he saw me confused me a little but I knew from the look on Razani’s face that he was most surprised to see me ahead of him and I knew with that look that the bit of kidology I’d fed myself at that point was just that total kidology and I committed to go straight to the Race Director to report that I was not the winner as somewhere I had gone wrong on the bike course. It took me a few minutes to find the race director and he was already deep in discussions with his team about it seemed lots of people getting lost out on the bike course. I advised him what had happened to me and whilst I confirmed that we’d gone through his checkpoint which was out on the course I still suspected that somehow on that motorcycle lane incident I had gone wrong and that if necessary he should disqualify me and the other riders that came back into T2 just ahead of me. He explained that there were lots of problems with the bike course and that because of some errors on their part they were not going to disqualify anyone and just wanted to try and make sure the people that the right people win. I advised therefore that in that case he must ensure that Razani won the 45+ Veterans category and left it for him to decide my fate as, having been in his position myself, I could see that he already had some problems to sort out. c) none of the other participants objected to this fact. Personally, I’d have actually preferred he disqualify me but I can understand and accept the logic he applied in not doing that. Had he done so, I guess he’d have had to disqualify a lot of other people and these would not have accepted that outcome so easily as me. Sadly, the times for this race cannot now be found anywhere to verify actual run and ride times. Results that have been published show positions only. As a result, part of me is still left feeling really guilty that perhaps I was not that far ahead of the 3rd & 4th placed participants and, just like Razani was entitled to be elevated to 1 st spot, these guys should also be elevated to finish higher too. It is always our responsibility to complete the racecourse and we cannot blame the markings for failing to do this and/or rely on the marshals to know the correct course. If you are unsure of the racecourse it’s your responsibility to check it out before the race and I failed to do this adequately. 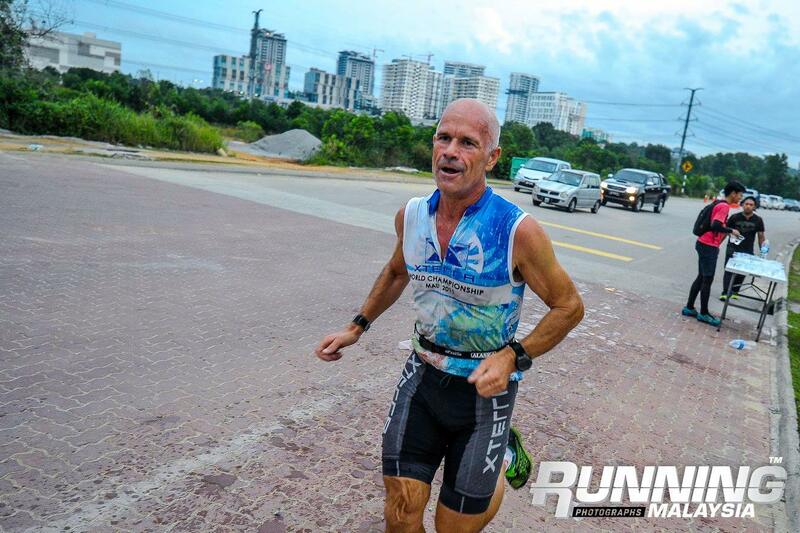 The Race Director has a really tough job and the buck stops with him even when members of his team let him down. In the absence of an appeal or protest though his decision is final and has to be respected.